Elude the depths of winter and experience seafaring in its most timeless form on this custom-designed, seven-night sailing experience amid the Caribbean’s tropical Windward Islands. Enjoy classic “life under sail”—the very best way to see the islands—aboard the exclusively chartered, 64-passenger, three-masted motor yacht Le Ponant, featuring all ocean-view staterooms and an observation platform, ideal for viewing marine life and snorkeling amidst colorful coral reefs. Bridgetown/Disembark ship/Return to the U.S. Experience “life under sail” aboard the exclusively chartered Le Ponant, a traditional motor/sailing yacht with sleek, stylish beauty. Only 32 Staterooms—a truly intimate sailing experience. All meals included—superb international cuisine on board the ship; complimentary alcoholic and nonalcoholic beverages throughout the cruise. Specially designed itinerary to the southern Caribbean’s Windward Islands, rarely visited and inaccessible to larger vessels. Complimentary snorkeling equipment and opportunities to experience the coral reefs and marine life of the Grenadines. Enjoy flavorful, French-inspired cuisine; each meal served in a single, unassigned seating. Complimentary alcoholic and nonalcoholic beverages are served throughout the cruise. With 16,000 square feet of sails, sleek lines and stylish beauty, Le Ponant takes you back to the era of traditional sailing yachts. The intimate, three-masted, deluxe Le Ponant offers a captivating and unforgettable sailing experience—seafaring in its most traditional form. When the 16,000 square feet of majestic sails are unfurled, the ship’s sleek lines and elegant beauty evoke the Golden Age of Sail. A harmonious alliance of nautical tradition and great style, this small ship is designed to cruise into the most secluded harbors where larger vessels cannot reach, and the refined yet casual lifestyle on board is manifest in the warm charm of each Stateroom and in the crew’s impeccable service. Each of the 32 ocean-view Staterooms features a window or porthole, private bathroom with shower, one fixed queen bed or one queen bed convertible into two twin beds, individual climate control, satellite flat-screen television, complimentary Wi-Fi, direct-dial telephone, safe, minibar, dressing table, hair dryer and plush robes. Meals feature superb international cuisine and each is served in a single, unassigned seating. Breakfast and lunch can be enjoyed alfresco in the indoor-outdoor Le Diamant Panoramic Restaurant, and dinner is served in the elegant, wood-paneled Karukéra Restaurant. Complimentary alcoholic and nonalcoholic beverages are available throughout the cruise. The comfortable public areas showcase the ship’s tasteful sophistication favoring life in the open air. There are two lounges, expansive open-air decks that extend the full length of the vessel and an observation platform for viewing marine life. Fully equipped Zodiacs are used to facilitate landings. There is a doctor on board the ship. The ship’s guest-to-crew ratio of less than two-to‑one allows the courteous, English‑speaking crew to provide attentive, professional service, and they are always delighted to answer your questions about their sailing maneuvers. Le Ponant will certainly captivate anyone who steps aboard its gleaming timber decks. 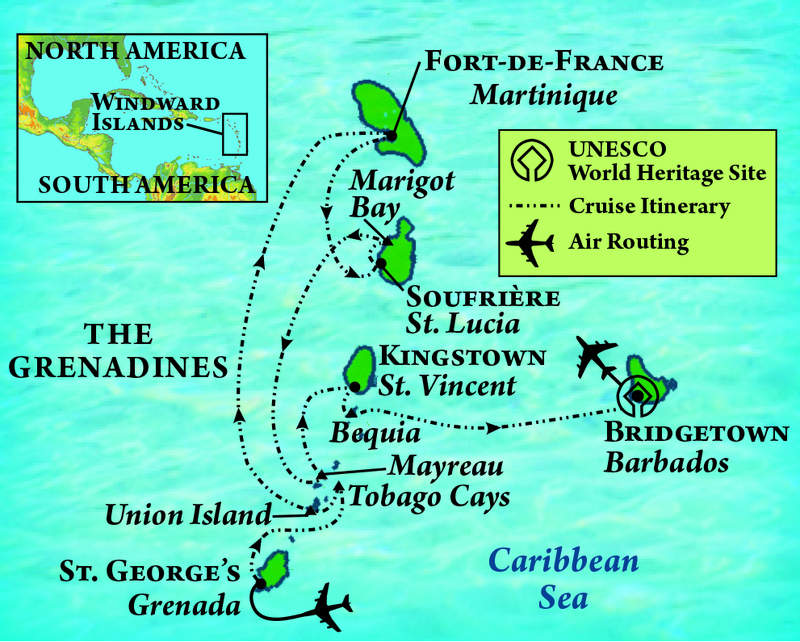 Seven-night cruise from Vieux Fort, St. Lucia, to Bridgetown, Barbados, with port calls at Soufrière and Rodney Bay, St. Lucia; Fort‑de‑France, Martinique; Kingstown, St. Vincent; Tobago Cays, Union Island and Bequia, the Grenadines; and St. George’s, Grenada; the most beautiful locales of the Windward Islands. Deluxe, ocean-view, air‑conditioned Staterooms, each with a private bathroom. Superb international cuisine and Caribbean specialties each day at single, unassigned seatings, with breakfast and lunch indoors or alfresco in the elegant Le Diamant Panoramic Restaurant, and dinner in the sophisticated, wood‑paneled Karukéra Restaurant. Complimentary Wi-Fi available throughout the ship. 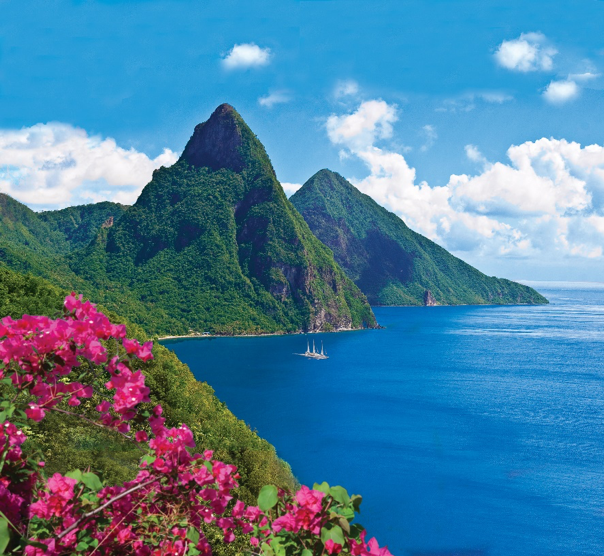 Visit to Soufrière to admire the beauty of St. Lucia’s Pitons, a UNESCO World Heritage site, featuring an excursion to Diamond Falls Botanical Gardens with its beautiful waterfall and to Soufrière Volcano and Sulphur Springs. Time in Rodney Bay to explore the ruins of Fort Rodney, and enjoy panoramic views at the top of Signal Hill, or an afternoon at leisure on the beach. Visit to Martinique’s beautifully preserved Clément Plantation and Rum Distillery, where then‑U.S. President George H.W. Bush and French President Francois Mitterand finalized the end of the Gulf War in 1991. Walk through the lush, artist-designed Balata Botanical Garden on Martinique. Island tour of St. Vincent from the historic city center of Kingstown. Tour of the verdant and mountainous Bequia, the most beautiful isle of the Grenadines and visit to the Old Hegg Turtle Sanctuary where endangered hawksbill sea turtles are hatched, cared for and released into the wild. 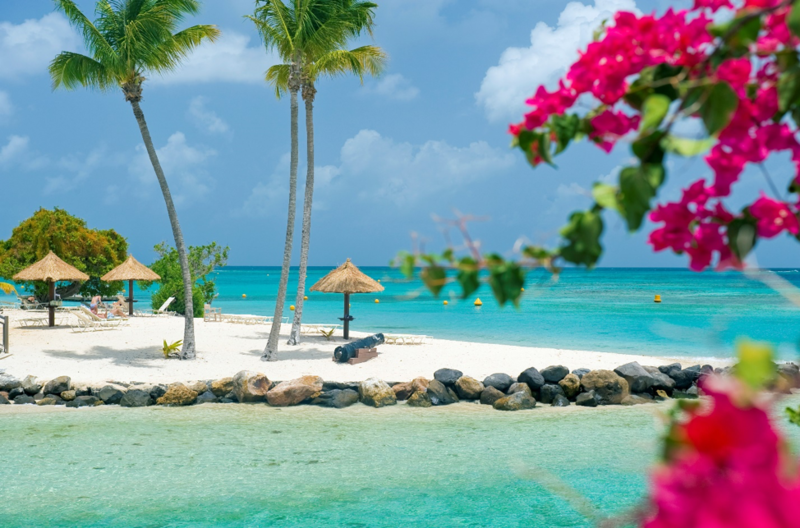 Time at leisure for swimming, snorkeling and scuba diving on Union Island, Grenadines; renowned for its pristine reefs and colorful marine life. Island stop at the breathtaking Tobago Cays Marine Park, comprising nearly 1500 acres of lagoons and coral reefs, for the opportunity to snorkel among an abundance of vibrant marine life. Tour of Grenada, the Spice Island, featuring a visit to a local herb and spice garden of rare and common botanicals used in cooking, medicines and liqueurs. Specially arranged rum tasting at a Grenada distillery. 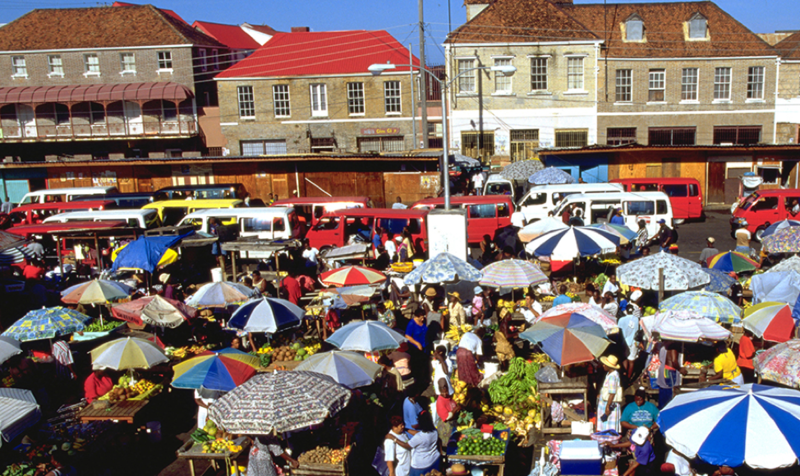 Excursion on Barbados to tour its capital of Bridgetown, a UNESCO World Heritage site showcasing more than 350 years of English heritage and one of the oldest synagogues in the Western hemisphere. Visit to the world-renowned Mount Gay Rum Distillery, established in 1703, on Barbados. 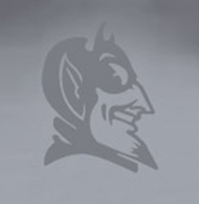 Transfers and luggage handling if your arrival(s)/departure(s) coincide with the scheduled group transfer(s). Complimentary bottled water in your Stateroom and on excursions.